He was so bored, that one day he decided to make a big swimming pool in his back garden, but first he had to cut down some flowers and trees to build it. 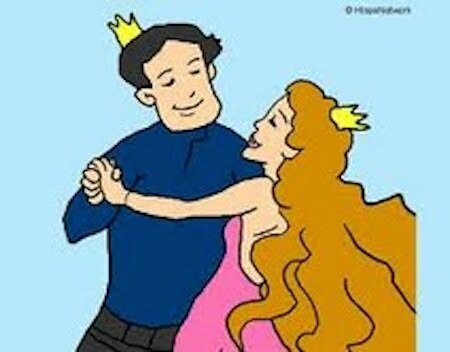 When the fairy discovered this, she told all the plants in the garden about the prince´s plan. All the garden came to life and anyone who came to cut them down, they hit with their leaves and branches. When the prince´s servants saw the enchanted garden they ran to tell everything to the prince. The prince couldn´t believe what they were saying and ordered another group of servants to check what was going on. After a few minutes this group came back to tell the prince how the plants had attacked them. He still had doubts and ordered his councillors to have a look. His councillors did not see anything strange and went to calm the prince. The next day, the prince went out to check his garden too and what a surprise it was when he saw a beautiful woman staring at him from behind the flowers. The prince approached her and saw the most beautiful fairy he had ever seen. “Please don´t destroy your garden, plants and flowers are beautiful and special, the planet needs them” – begged the fairy. The prince accepted this and visited the fairy every day. He took care of his garden, and finally they fell in love and lived happily ever after.